RadiantUI has been upgraded to UE 4.6, and the full source code and example project has been released free-of-charge under the MIT license on GIT hub. Existing licencees: The store will be taken offline but I will continue to support you through this release. * No C++ coding required, everything is done through blueprints and components. * Automatic Input handling: Walk up to any WebActor and use the mouse and keyboard automatically (Doom3 style interfaces). 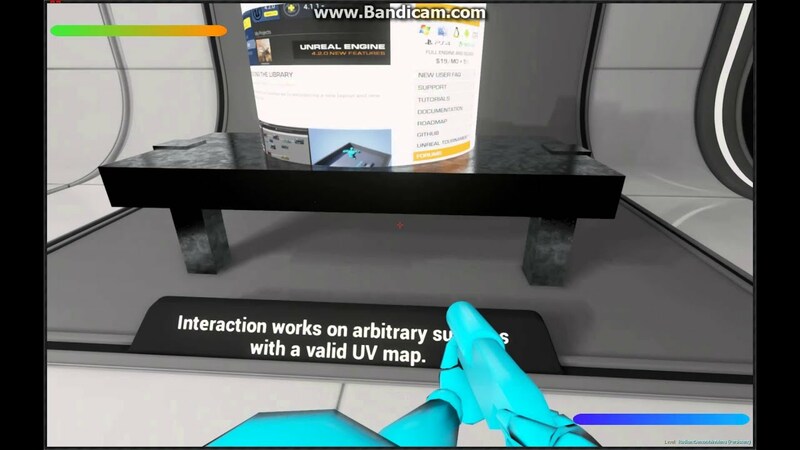 * Supports non-flat surfaces: You can map a WebActor onto any mesh and still interact with it (Curved computer screens etc). 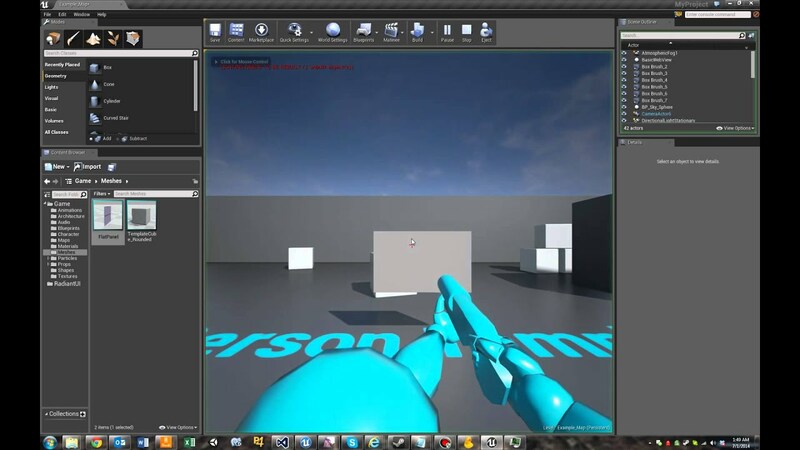 * Networked gameplay support: Multiple players can interact with the same WebActor and see the same output. Last edited by zoid; 12-04-2014, 05:16 PM. Very interested in this! Would it be possible for this to support UE4 HTML5 deployment (as in UE4 compiled and packaged for WebGl html5 deployment?) Could be VERY powerful if so! Last edited by b14de; 06-23-2014, 08:06 PM. Looks really great! I'll be getting it as soon as I can. This looks promising and very reasonably priced. Do you have more examples showcasing animated HUD for example? Also, more examples showing buttons, lists, menus, drag and drop, etc (WebViewHUD and HTML). I'd love to see what can be done for standard UI's and what kind of pipeline it would involve for creating them and if it can be a viable replacement for Scaleform. Last edited by Onoa; 06-24-2014, 01:27 AM. I'm trying to add a staticmesh webview actor as a component of an existing blueprint that I am using as a player pawn. I'm having a hard time getting that to work. Any suggestions or workarounds? You can only add components to actors, not other actors. What effect are you trying to achieve? I'll PM you ...it's a rather long winded description of the desired effect. Hey zoid, been poking around at Radiant and it seems like a nice complete package. Just had a small issue, it seems like the enter key is not being passed as input to the webview. I walked through the code, and it seems to my inexperienced eye that everything's firing properly, but the webpage isn't reacting to it. Any ideas? I just tested this with a webview loading google.com and the ENTER key seems to be working. What website are you loading? Or do you have a more specific repro I can try? I was able to get everything working for my issues by bringing it in as a child actor component in the blueprint...works fine now. I noticed another issue though. Everything works fine in PIE (play in editor) but when I go to launch the actual game the radiant actors don't show up. They don't show up in the example scene provided either when using the launcher. Have I not installed it properly? Ok so this is basically a packaged build of the game, and a couple folders have to be copied over, I need to do a proper video for this but the CefRuntime directory and your WebUI folder has to be copied over, I believe (going from memory here) into the same directory as your Binaries and Content folder gets placed. Right now UE4 won't stage any directories for you, but they are adding this general functionality in one of the upcoming releases. I'm sorry if that's vague or doesn't work, I'll get a video put together here soon showing where they go so there's no confusion. How's that video coming along? I just bought RadiantUI today and I'm really excited about sharing my demo builds for feedback, but I can't get the UI working in the build either. Any info re where to copy the relevant files from the RadiantUI setup would be appreciated! Edit: I just realised you posted that comment earlier today so it's probably a bit "too soon" to be asking for the video But text instructions would be fine! Here is a tutorial video covering how to package you game with the RadiantSDK plugin.